The hotel offers a snack bar/deli. A bar/lounge is on site where guests can unwind with a drink. A computer station is located on site and wireless Internet access is complimentary. This business-friendly hotel also offers tour/ticket assistance, multilingual staff, and complimentary newspapers in the lobby. Ibis Paris Sacré Coeur 18ème is a smoke-free property. 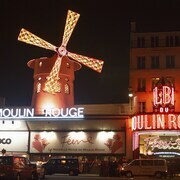 Located in Paris City Centre, this hotel is within 1 mi (2 km) of Moulin Rouge and Opéra Garnier. Louvre Museum and Champs-Elysees are also within 2 mi (3 km). Anvers Station and Pigalle Station are within a 5-minute walk. This smoke-free hotel features a bar/lounge, a snack bar/deli, and a 24-hour front desk. WiFi in public areas is free. Other amenities include a computer station, free newspapers, and tour/ticket assistance. All 68 rooms offer free WiFi, premium bedding, and flat-screen TVs with satellite channels. Hair dryers, phones, and desks are among the other amenities that guests will find. 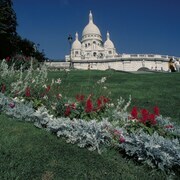 Ibis Paris Sacré Coeur 18ème offers 68 accommodations with hair dryers and blackout drapes/curtains. Beds feature premium bedding. Flat-screen televisions come with satellite channels. Bathrooms include bathtubs or showers. Guests can surf the web using the complimentary wireless Internet access. Business-friendly amenities include desks and phones. Housekeeping is provided daily.